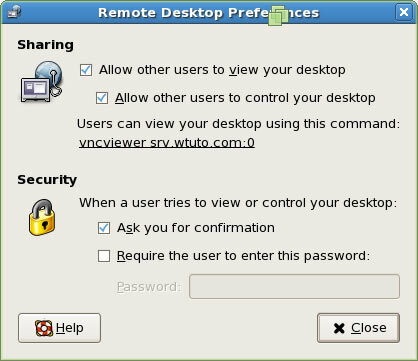 This article will show you, how you can work remotely on Winodws Machine from Linux and vice-versa. 1. 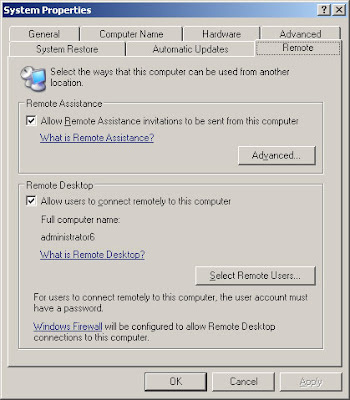 First you have to enable Remote Desktop (from Remote Tab in My Computer Properties) on the Windows Machine. Note: Where 192.168.0.22 is IP address of Windows Machine. 2. Then download and Install vncviewer on Windows Machine. vncviewer is easily avialable on Internet. 3. Run vncviewer and type IP Address of Linux Comuputer. 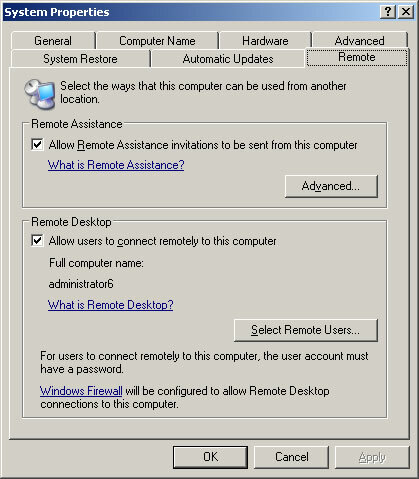 Note: Where 10.0.0.25 is ip address of Linux Machine where Remote Desktop is enabled. 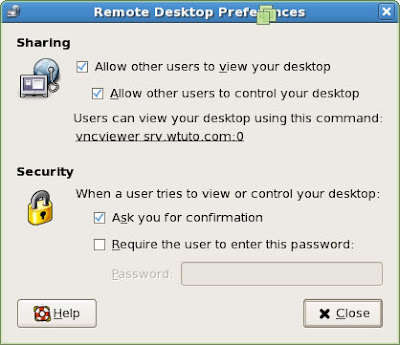 Can I use rdesktop to make a connection between Linux and Linux box?